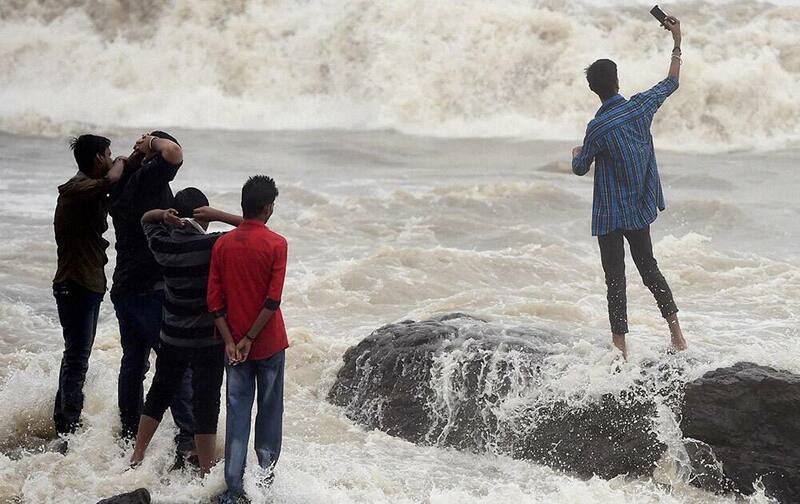 Mumbaikars enjoy high tide during monsoon season. 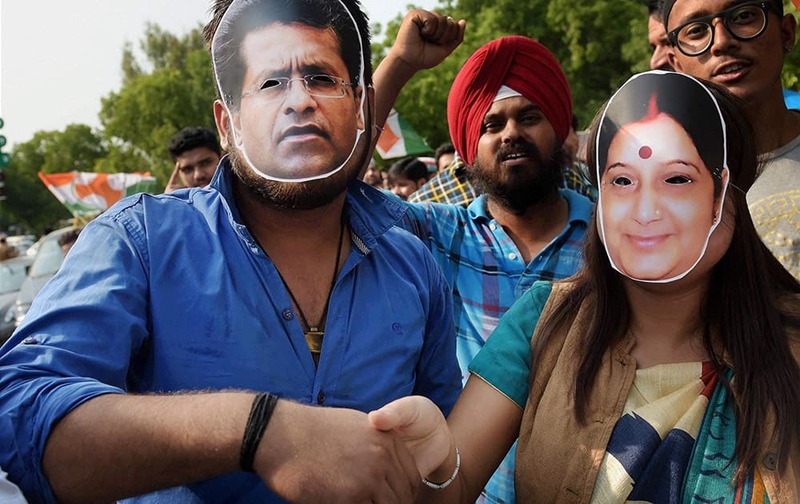 Youth Congress members wearing Lalit Modi and Sushma Swaraj masks during a protest at Teen Murti in New Delhi. 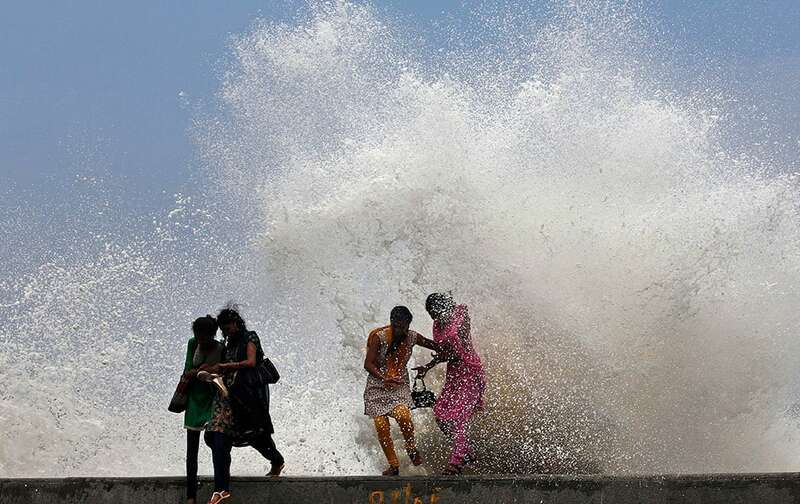 Swaraj facilitated former Indian Premier League (IPL) chief Lalit Modi’s travel to Portugal for his wife’s treatment last year. 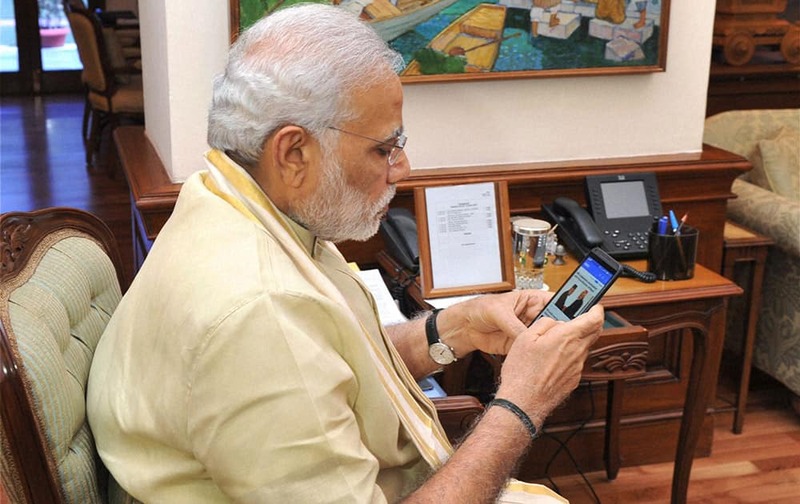 Prime Minister Narendra Modi launching the Narendra Modi Mobile App in New Delhi. 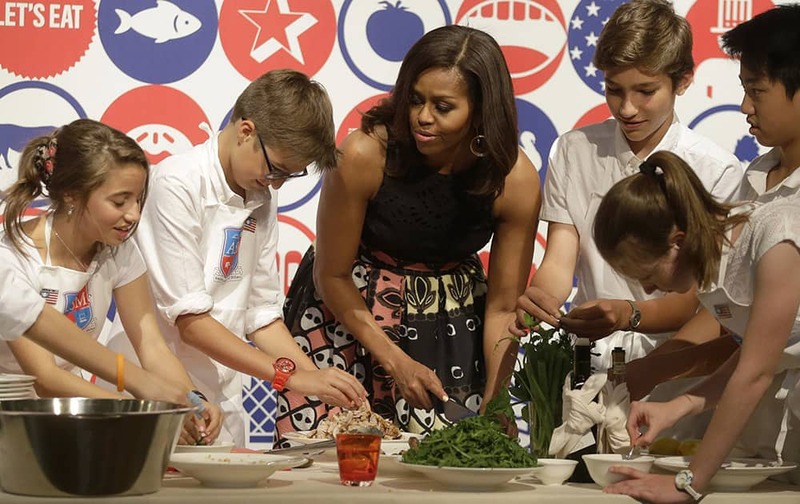 US first lady Michelle Obama participates in a cooking demonstration at the James Beard American Restaurant with Italian and American middle school students in Milan, Italy. 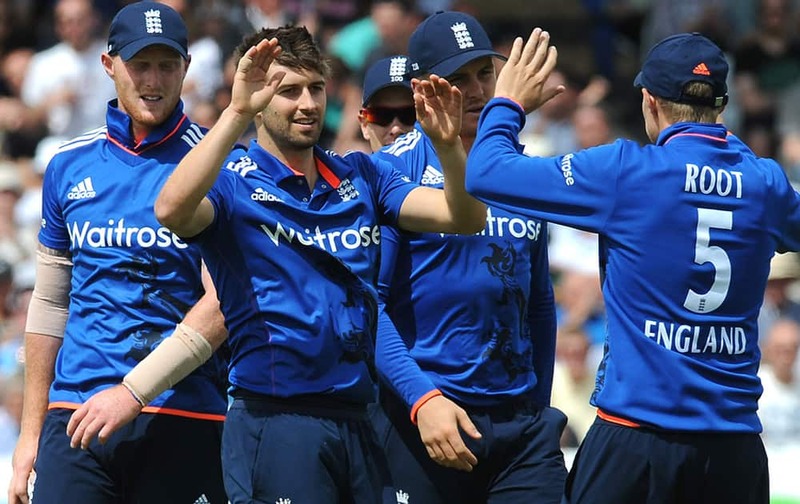 England's Mark Wood is congratulated by teammates after bowling New Zealand's Brendon McCullum caught Jos Butler for 35 runs during the fourth One Day International match between England and New Zealand at Trent Bridge cricket ground in Nottingham, England. 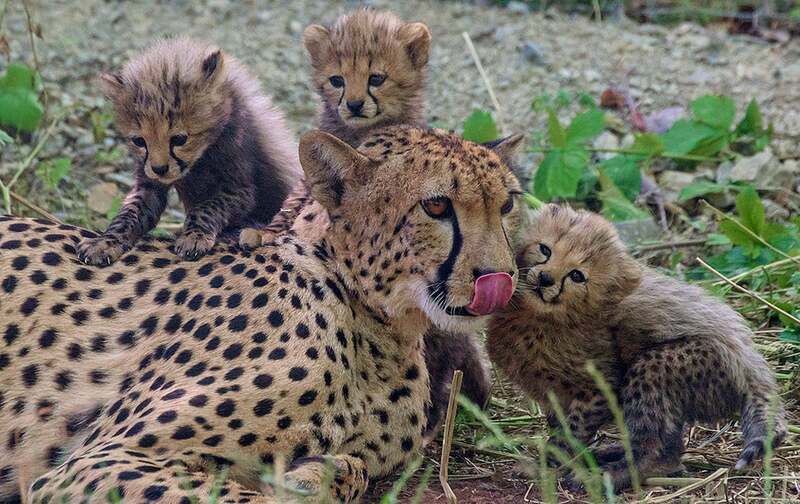 Cheetah mother Freela relaxes with three of her six babies at the zoo in Erfurt, central Germany. The cheetah cubs were born on May 6, 2015. 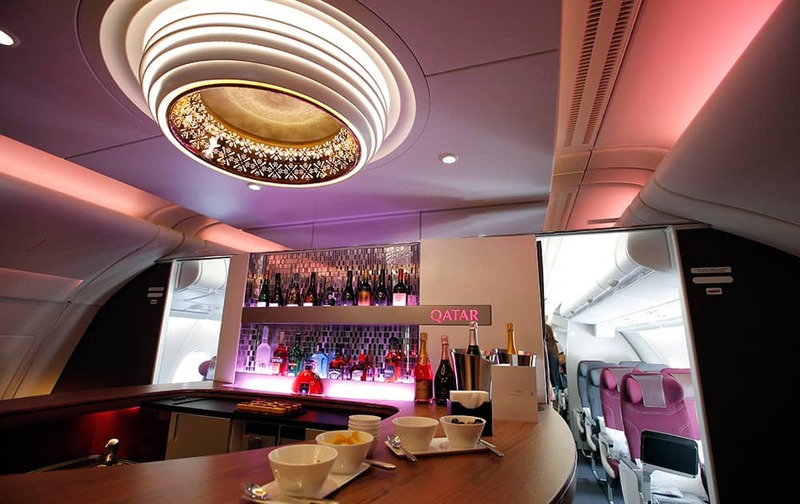 Interior view of the lounge bar in the second floor deck of the Airbus A380 of Qatar Airways presented at the Paris Air Show, in Le Bourget airport, north of Paris. 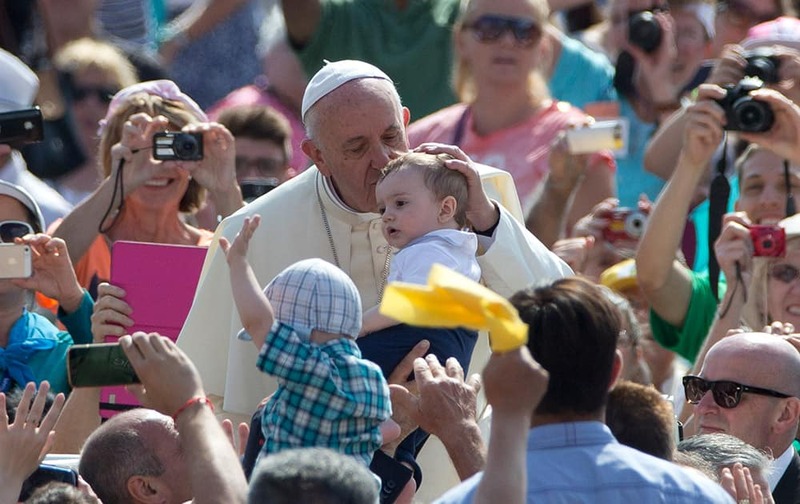 Pope Francis kisses a baby as he arrives for his weekly general audience, in St. Peter's Square at the Vatican. 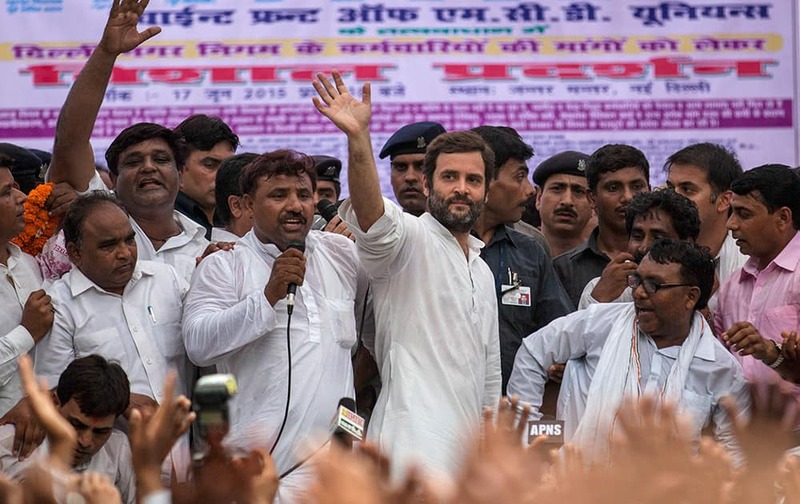 Congress party Vice President Rahul Gandhi waves as he leaves after addressing a protest by sanitation workers in New Delhi. 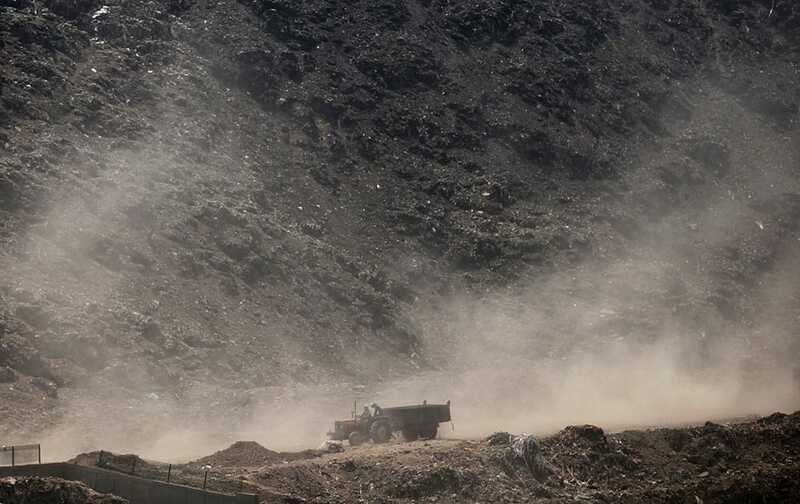 Hundreds of sanitation workers gathered near the Indian parliament for a protest demanding the payment of wages due to them. 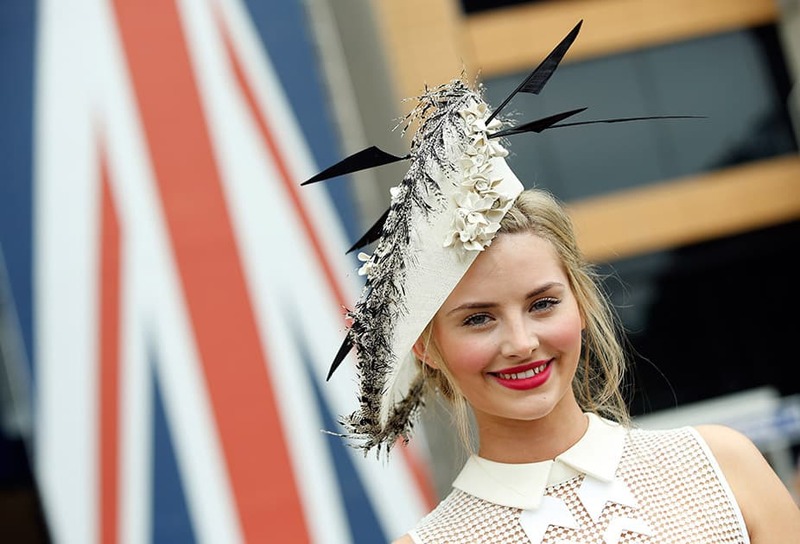 Eleanor Matthews poses for photographers as she arrives for the second day of Royal Ascot horse racing meet at Ascot, England. 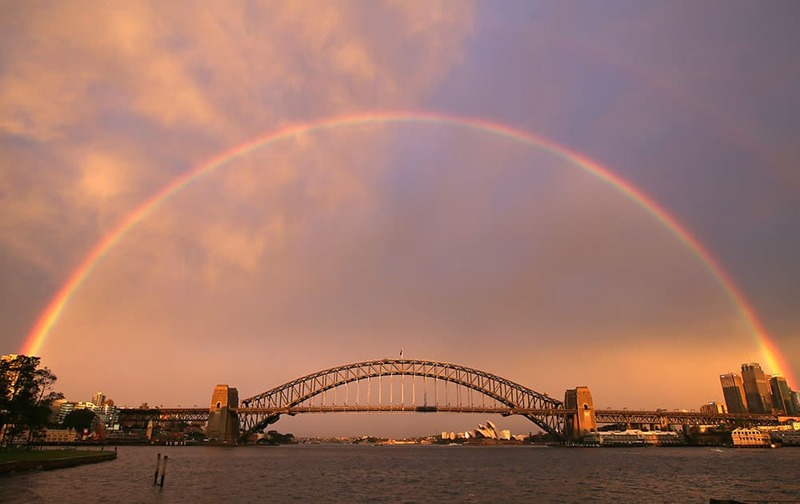 A rainbow forms over the Harbour Bridge on a wet day in Sydney. 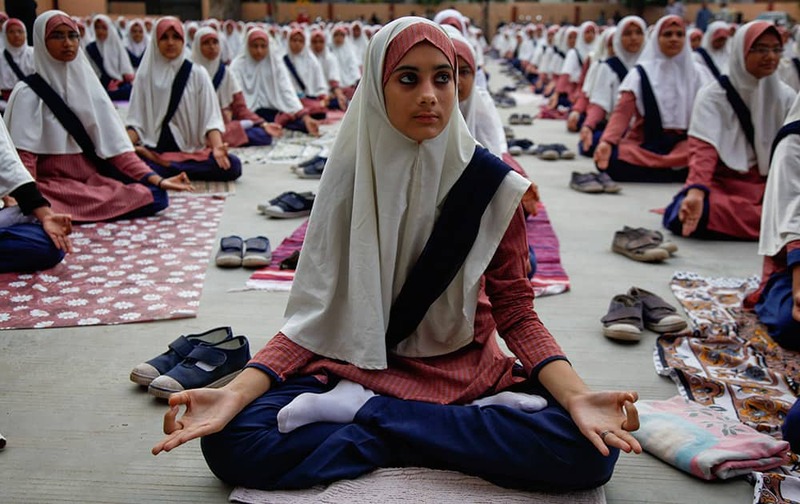 Muslim students practice yoga at a school ahead of first International Yoga Day in Ahmedabad. 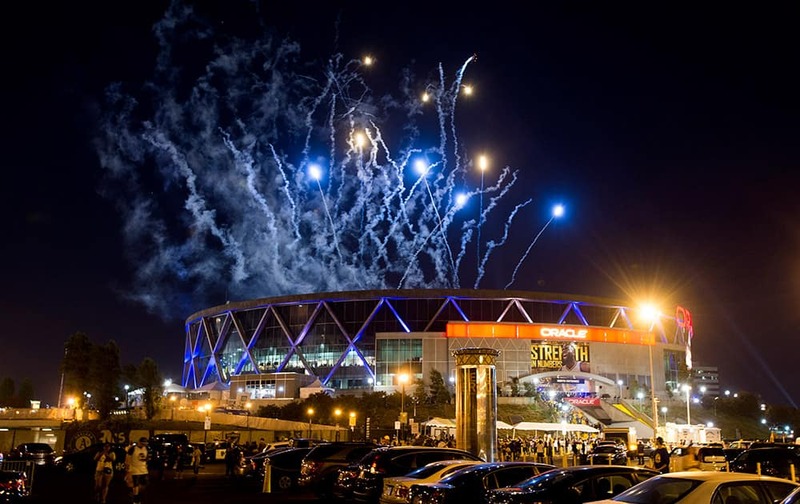 Fireworks leave trails of smoke over Oracle Arena , in Oakland, Calif.
A suspected NCP activist blackened face of Resident Medical Officer Raghunath Rathod following the incident of civil hospital ignoring an injured woman in Mumbai. 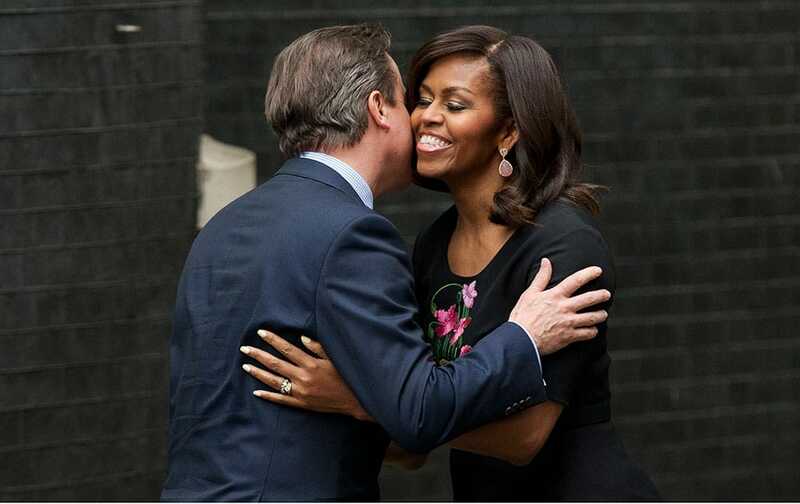 U.S. first lady Michelle Obama is greeted by British Prime Minister David Cameron and his wife Samantha, as she arrives to visit them at 10 Downing Street in, London. Malia, the daughter of U.S. first lady Michelle Obama, leaves after joining her mum and sister Sasha to visit British Prime Minister David Cameron and his wife Samantha at 10 Downing Street, in London. 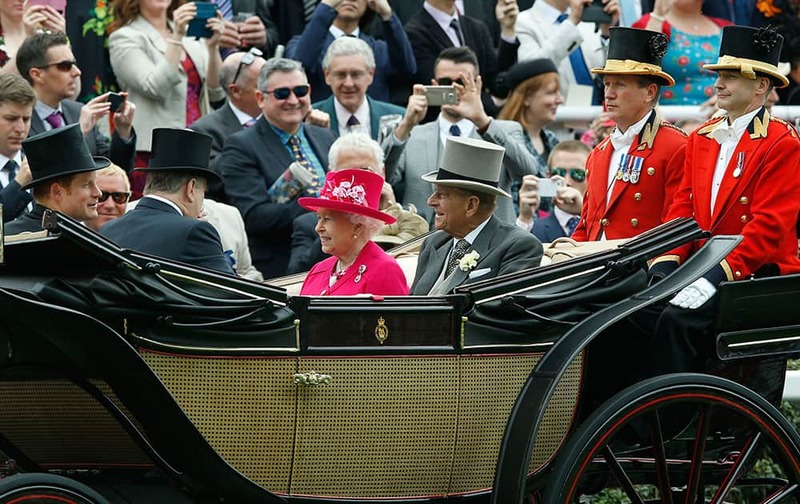 Britain's Queen Elizabeth II arrives with Prince Philip, the Duke of Edinburgh and Prince Harry for the first day of Royal Ascot horse racing meet at Ascot, England. 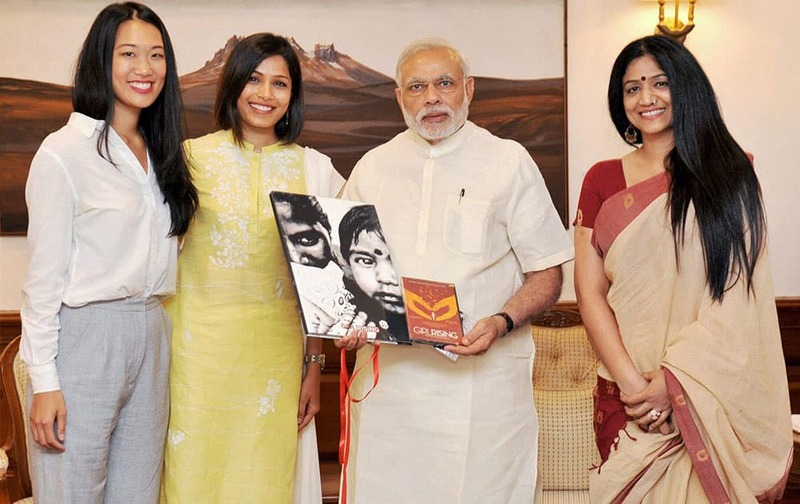 Prime Minister Narendra Modi meeting representatives of Girl Rising campaign in New Delhi. 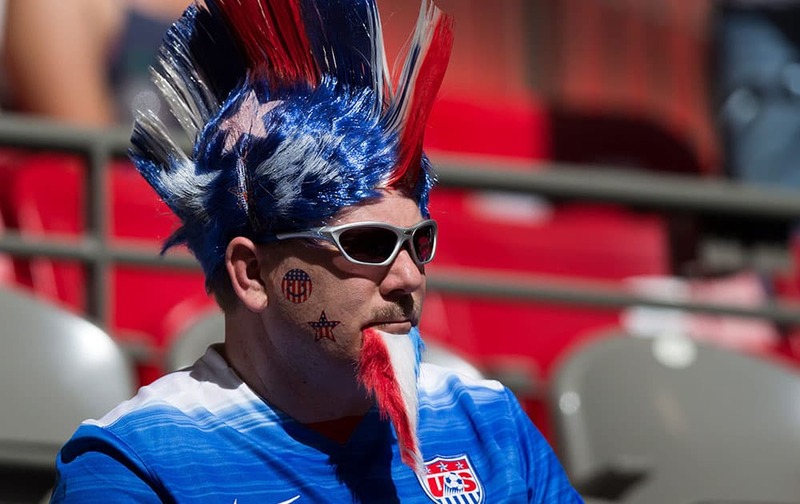 A U.S. fan watches as the team warms up for a FIFA Women's World Cup soccer game between Nigeria and the United States, in Vancouver, British Columbia, Canada. 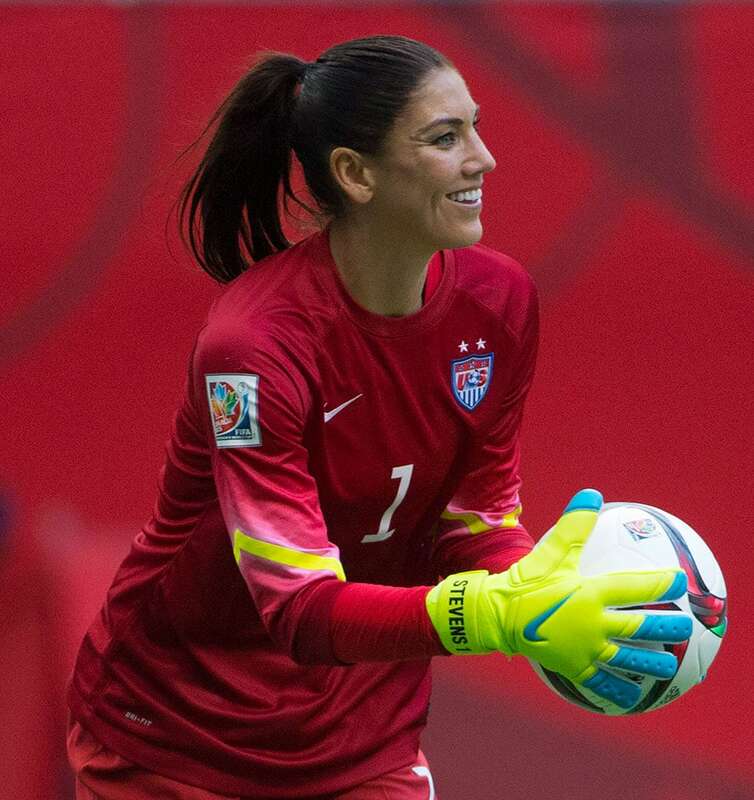 United States goalkeeper Hope Solo makes a save during second half against Nigeria in a FIFA Women's World Cup soccer game, in Vancouver, British Columbia, Canada.